Solidly constructed in the 1960's with brick and weatherboard you can rest assured that it's stood the test of time. It offers three good sized bedrooms, separate bathroom and toilet, good indoor/outdoor flow to decks front and rear. This charmer will appeal to small families, first home buyers, retirees, downsizers, couples and investors. 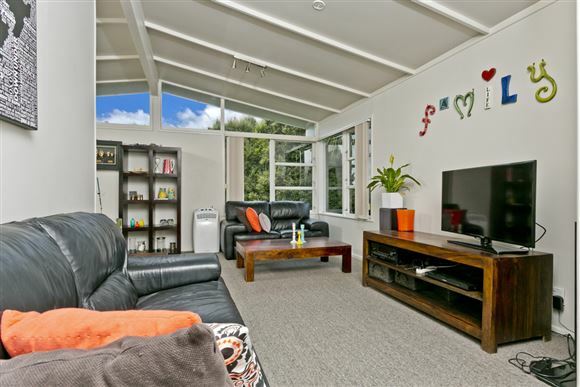 Great access to Glenfield Mall, Wairau Park, schools, bus, motorway routes and walking distance to the tranquil Diana Reserve. It is currently rented to very nice tenants who are keen to stay on. Such a good opportunity for you if you are thinking of buying a rental property or a great value family home! Please call Lucy/Chris to arrange a private viewing or see you at the open homes.